Established by fine-art photographer Anouska Beckwith in 2012, World Wide Women is an all-female international collective of photographers and artists which seeks to represent the free spirit of women in the contemporary art world. The group of 34 female artists defines itself as a sisterhood, united in effecting change through art; their shared vision stands as a feminist one, promoting equality, restoring balance and encouraging female empowerment through entirely positive action. Having exhibited in Paris, Gstaad and at the 2013 Women of the World festival at Southbank Centre, Ritual is to be World Wide Women’s first major London exhibition. Curated by gallerist and curator Andi Potamkin of Manhattan’s Kasher | Potamkin gallery and boutique, Ritual will incorporate photographs, film, installation and works on paper which offer escapism, and create a dreamlike atmosphere which promises to wholly envelop the viewer. The works will examine the mimicry, tradition and psychological motivation behind rites and rituals, both contemporary and historic. In keeping with the collective’s dedication to multi-sensory exhibitions, Ritual opens with an evening of scent, projections and live acoustic music from British singer-songwriter Flo Morrissey. While each piece is constructed to be immersive and subjective in its own right, the curatorial hand furthers this effect as it drives the audience into the role of participant and directs them into various, increasingly moving, stages of the ritualistic act: memory, sacrifice, reverence, and longing. Each artist reaches into their own imagined rituals, taking inspiration from witchcraft, art history, craft and folklore, and even fashion. Artworks include the dreamlike photographic series and film, A Story of Ophelia by Anouska Beckwith; the surreal psychedelia of Budapest-based Maximilla Lukacs’ video work, Truth Is In the Dirt; and the intricate works of Mary Herrera which blend antique books with contemporary photography and illustration to form pictorial imaginings around mysticism, magic and reality. In other work, London’s Claudia Legge presents a series of undulating underwater photographs; New York-based artists Anna Marcell and Jeaneen Lund create opposing works with eerie portraiture in 35mm film versus clean, digital prints looking at the position of the female body in high fashion; while American photographer Edie Sunday uses multiple exposures, chemical manipulation and mixed media to unbelievable effect and Amanda Charchian literally weaves together her subjects with plaits of fire-red hair. Featuring 19 practitioners from World Wide Women’s collective, whose members hail from rural France to New York, London to Mexico City, Moscow to Paris, Hawaii to Budapest and beyond, Rituals encompasses the diverse practises, dreams and histories of women artists the world over. World Wide Women: Ritual, 18-21 December, Cob Studios, The Cob Gallery, 205 Royal College St, London NW1 0SG. More information on World Wide Women can be found at www.worldwidewomencollective.com. 1. Amanda Charchian, Ginger Entanglement (2013). Courtesy of World Wide Women. 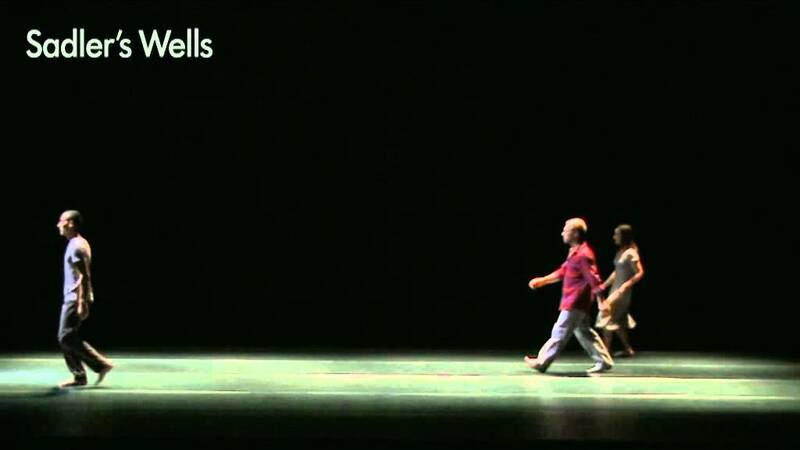 Arriving at Sadler’s Wells for the first time, Geneva based dance group Alias performs Sideways Rain. Directed and choreographed by Guilherme Botelho, Alias have produced more than 20 works.